Is there any better way to get to know a city than a by taking a carriage tour? From the experienced tour guides telling the secrets and history of the city to the comfortable clip-clop of horse’s hooves on old streets, St. Augustine carriage tours are a fantastic introduction to the Nation’s Oldest City. Whether you’re planning a special event, taking a romantic getaway with your loved one, or simply want to explore the city from the comfort of a carriage, there are plenty of fantastic options available. After you’ve taken a St. Augustine carriage tour, grab a bite to eat! Access our free Vacation Guide for a succinct, easy-to-read list of great local recommendations. Best of all, our Vacation Guide can be accessed from any mobile device. Is there anything worse than searching for a restaurant when you’re hungry? With our Vacation Guide, there’s no need! Plus, you know that you’re going to have a delicious meal. There’s no better resource than a bed and breakfast for great suggestions for local hotspots! Southern Carriage, sometimes called St. Augustine Carriage, is just a five-minute walk from Agustin Inn. They are one of the longest-running carriage tours in the city and for good reason! The guides are knowledgeable and fun, and the tours are a great time. 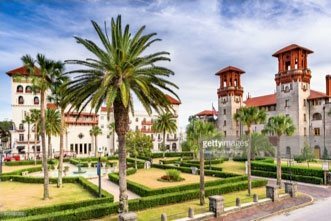 For a great introduction to St. Augustine, take the Historic Downtown tour. These tours are private and can be booked online. If you have a special occasion, give them a call! They are happy to arrange a special ride. You can even bring a bottle of wine with you! For a spooky experience, take the Haunted Horse Ride. It combines a carriage ride with a ghost tour in an entertaining and chilling experience. For a delicious (and alliterative) experience, take the Vittles and Vino VIP Carriage Tour from The Tasting Tours. Famous for their food and wine tours, The Tasting Tours has created a three-hour tasting extravaganza complete with a horse-drawn carriage ride. The tour includes four to five food and/or wine tastings, wine to enjoy on the carriage ride, a souvenir glass, and fun and informative facts about our beautiful city. Please note that there is a six-person minimum with this tour so grab your friends and have an adventure! If you’re looking for a private St. Augustine carriage tour, we can help! Simply let us know at the time of reservation that you would like to add a private tour to your reservation and we will make all the arrangements. 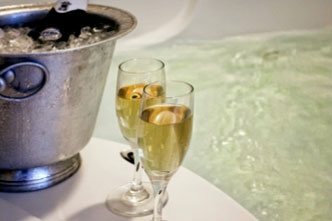 If you’d like the ultimate romantic experience, then take a look at our specials and packages. Both the Ultimate Romance Package and the Agustin Classic Romance Package include a private horse and carriage ride. 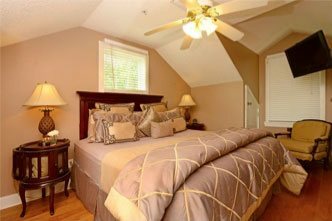 After you’ve enjoying your St. Augustine carriage tour, return to Agustin Inn for an incredible night of comfort and rest. Our luxurious guestrooms and suites all feature a private, modern bathroom and unbelievably comfortable beds. 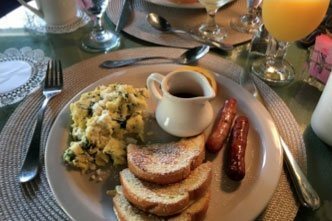 In the morning, enjoy a delicious complimentary breakfast before exploring St. Augustine. Check our availability and book your room today! We look forward to having you. Are You Brave Enough For These Ghost Tours Of St Augustine?